by richardelliott	Posted in	Face, Skin	on 05/04/2019 . Dr Dennis Gross Skincare products appeal to women and men who value skincare efficiency over marketing hype. The rising popularity of these products is not surprising – after all, with over 25 years of experience in the industry, dermatologist and dermatologic surgeon, Dr Dennis Gross, knows exactly how to deliver new and innovative ways to fight the primary signs of skin ageing. Some of his most impressive products are part of the SpectraLite range, a line of futuristic-looking masks that offer the best in skincare. Take a look below at what makes these products so special and how you too can benefit from them. 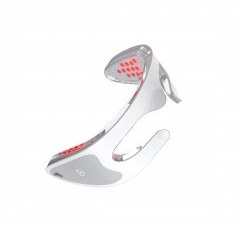 Since its inception, the LED technology used in this line has been revolutionising skincare by treating spots, calming skin redness and improving the appearance of wrinkles and fine lines – all just with the calming, yet powerful, effect of light-emitting diodes bathing your skin. Hands-free, as well as hassle-free and requiring no downtime, this technology is easy to use and offers concrete results you can see just after a few weeks’ use. It’s fair to say that this technology will change – and, in fact, is already changing – the skincare landscape. Featuring a full spectrum of therapeutic light, this treatment improves signs of ageing and acne in a painless and quick manner. It also works on all skin types and tones and it’s safe to use during pregnancy and breastfeeding. According to Dr Dennis Gross, LED lights were used by NASA to experiment on plant growth; the results point to the lights stimulating the cells’ natural production of adenosine triphosphate which, in humans, contributes to a production of collagen. An increase in collagen means an improvement of fine lines and wrinkles. Which SpectraLite products can you find at Skinstation? Offering rested, revived and youthful eyes in just three minutes, the fantastic Dr Dennis Gross SpectraLite EyeCare Pro is perfect for anyone looking to see a reduction of fine lines and wrinkles. 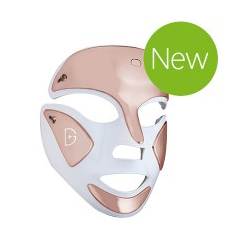 Showcasing professional light therapy with 72 LEDs, the mask stimulates the natural production of collagen to treat signs of ageing around the eyes. The product has a charging indicator light and a flexible and adjustable head strap for universal fit; it also automatically shuts off after three minutes, so you don’t have to worry about keeping time. The result is a smoother, more radiant complexion. Specifically, the SpectraLite EyeCare Pro targets fine lines and wrinkles, as well as loss of firmness and elasticity, builds collagen, evens skin tones and texture, and increases skin density. Perfect to get rid of wrinkles as well as of acne, the medical-grade Dr Dennis Gross SpectraLite FaceWare Pro is inspired by Dr Gross’ professional in-office lasers and offers a full spectrum of therapeutic red and blue light. Many people can see a difference in their wrinkles in as early as a fortnight; when it comes to acne, this mask can improve it within days. Just like the SpectraLite EyeCare Pro, there is no downtime associated with this product. There are 100 LED lights in red mode and 62 LED lights in blue mode, which work together to smooth wrinkles, firm skin, improve discolouration and clear acne. Red light stimulates collagen and elastin production and blue light destroys the P. acnes bacteria to prevent future breakouts. How exactly can you benefit from this fantastic treatment? The SpectraLite FaceWare Pro will give you firmer skin, reduce the appearance of sun and age spots, clear mild to moderate acne, prevent flare-ups, calm redness, smooth lines, and more. You’ll soon enjoy a complexion that is both more radiant and more youthful-looking. Another great thing about this type of skincare is that it doesn’t dry your skin either, which can happen with some treatments. Is This the Skincare of the Future? This next-generation skincare has been growing in popularity, especially considering how easy and convenient it is. You don’t have to go to a clinic or waste a lot of time – you can easily do it at home for just a few minutes, perfect for anyone who is always on the go. In addition, there are no greasy creams or oils to apply and you won’t see any side effects either, such as skin redness. This is already making the SpectraLite treatment a favourite amongst celebrities, who can’t get enough of the quick results these masks offer. Interested in benefiting from clear, smooth and radiant skin? Get in touch with the fantastic Skinstation team and we’ll be more than happy to discuss what you’re looking to achieve in regard to your skincare routine. We can also help you decide which Dr Dennis Gross treatment is best suited for you, as we stock a huge range of his products, from the high-tech SpectraLite masks to world-renowned peels.